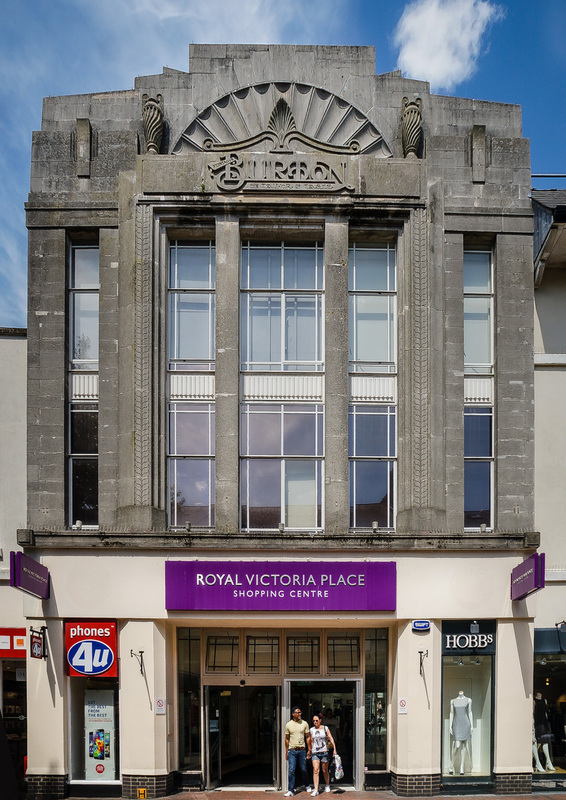 Burton, Royal Victoria Place Shopping Centre, circa 29 Calverley Road, Tunbridge Wells, Kent, 2014 • According to the article here the local council refused permission to demolish this frontage and made the developer take it down and rebuild it. I bet the ground floor facade was beautiful when intact – indeed, it may still be lurking beneath the boxy shopping centre entrance. More councils should have the guts to do this.